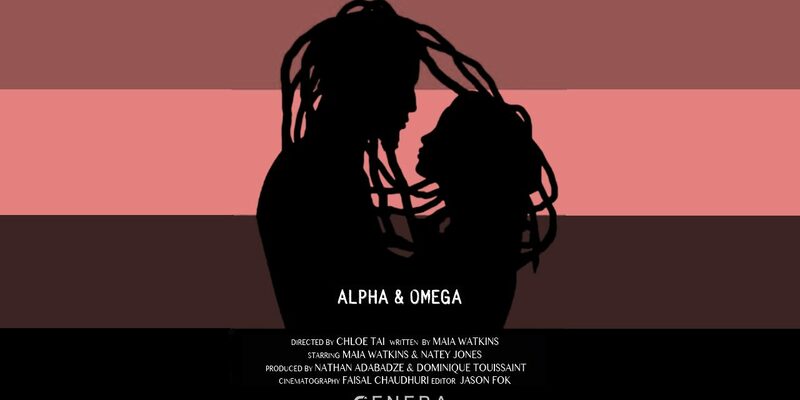 Alpha & Omega is a touching short drama exploring love, identity, and faith from a black female Rastafari’s point of view. 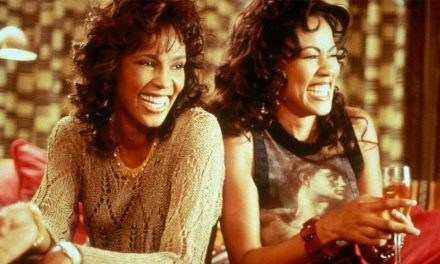 Brought to life by three determined women of colour Maia Watkins (writer/actor), Chloe Tai (director), and Dominique Toussaint (producer), alongside co-producer and executive producer Nathan Adabadze. Nathan: Alpha & Omega focuses on Imani a Rastafari artist who runs a vegan health-stall with long-term partner Hakeem in South London. Dedicated to her Rastafari faith, a discovery forces her to consider a course of action that conflicts with her Rastafari teachings; and as a result, she begins to question her relationship, her faith and what it really means to be a Rasta. Alpha & Omega is Maia’s attempt to explore the Rastafari faith you don’t see in the media. Maia: The film was inspired by a dream I had about my Rastafari Godfather who was diagnosed with cancer over ten years ago. He told of a time his dreadlocks fell out whilst sitting on the toilet due to his chemotherapy treatment and this image stuck with me for many years. I’ve always been interested in mental, spiritual and physical health as well as the Rastafari culture and the dream encouraged me to explore these things on a deeper level, leading me to create this narrative. 2# How did you guys come together to work on this project? Nathan: Maia was the lead in my debut short film Olivia in 2014. Since then we’ve kept in contact via the short film festival circuit and a monthly film collective I co-run (with Alpha & Omega director Chloe Tai). 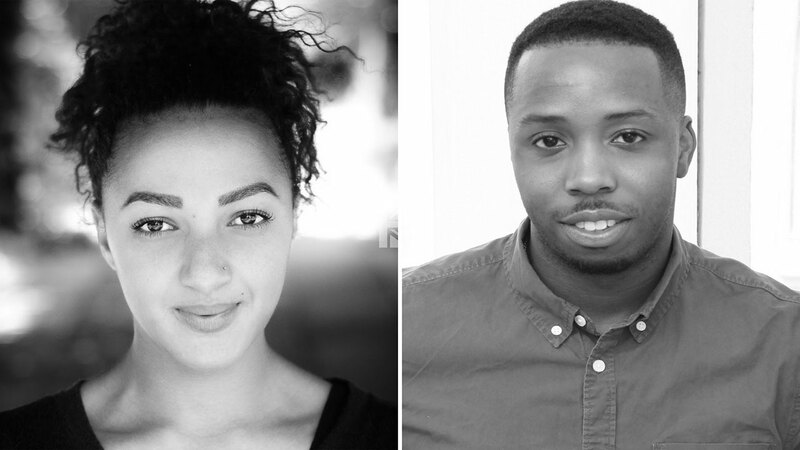 The Smashed Screen Collective brings together ethnic minority filmmakers be it actors, writers, directors, editors, producers etc. to share their ideas and opinions, script read short screenplay drafts, watch first edits and more. We’re trying to foster a safe space for BAME creatives to gain and provide constructive, well thought out and honest feedback to help them move forward confidently with their projects. Maia brought Alpha & Omega to us and we were so enthused by the idea we jumped at the chance to be involved and spent 8 months helping her develop it through the collective. 3# Can you tell us a bit about your individual roles? Maia: I wrote this film over the year and I play the lead character, Imani. The story changed a lot from the first few drafts as so many ideas were discussed and developed through readings and discussions. The narrative is personal to me so getting it right was paramount. Playing Imani was challenging at times as I had to separate myself from the writing once the script was complete and work on exploring the journey through new eyes in order to find more human connections to approaching the role. Having a great team and time to prepare really helped to inspire and push me. Nathan: As co-producer (along with Dominique Toussaint) it was my job to find crew, cast, source locations, props, organise the rehearsals and run the shoot. However, as exec-producer, I had the added pressure of raising the money to fund all of the above. Since all my previous projects were self-funded for under £1K and the budget of Alpha & Omega was £5K, it’s been a journey, to say the least! To get this film financed I approached a couple private investors (both fell through). Raised £3.1K from 105 backers through a successful IndieGoGo Campaign. Applied to 5 film fund competitions, one of which The Pitch we were finalists in but didn’t win, the other Genera Film Fund we won at the second attempt; we submitted the second time after the film was shot to help with post-production costs! There are many things I would do differently but I believe the key to our success was that we decided early on to set a shoot date and regardless of how much money we were able to scrape together we were going to make the film. Having the pressure of a looming deadline gave us a sense of urgency and forced us to be creative. 4# A strong point about this project is that there are three women in key roles involved in bringing this to life, was this a conscious decision, or was it organic? Maia: It all started organically as Chloe (director) and I had become friends from working on the previous shoot. I then met Dominique (co-producer) through The Smashed Screen Collective and she was excited about bringing Alpha & Omega to life. We are all artistic people in our own right so coming together was a great thing and we embraced the fact that we were all women from different backgrounds and cultures. 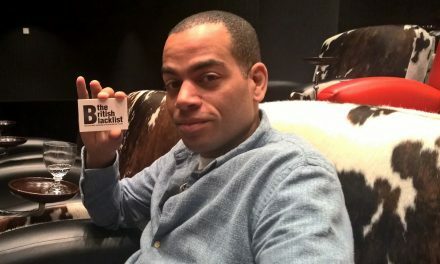 Nathan: Smashed Screen Films was founded to challenge the status quo and it’s our intention to champion diversity both in front and behind the camera. Once we identified this was an opportunity to celebrate the women behind this film we definitely embraced it, in addition to our heads of department, the set designer, wardrobe and stills photographer, 1st & 2nd AD and sparks were all female and predominantly POC. 5. What was it like working with three women, thinking of the current climate? Nathan: Working with 3 women at the helm is no different to working with men. You’re working in a team of different personalities and striving towards the same goal. It’s a shame we still have to have these conversations. The only consideration I had particularly when drumming up publicity from press/online blogs etc. for our IndieGoGo campaign, was that I was self-conscious of being a male fronting a project that claimed to be female-led. 6# As the story is based on your true life experiences with family loss, illness, and Rastafarian traditions. How have you managed the process of dealing with grief and telling such a personal tale… also how will this shed perspective on Rastafarianism? Maia: Writing this film has become a healing process for the different losses I’ve experienced over the years, whether it is family or friends. Mediums such as acting, writing, meditation or drawing help to heal the soul and aid the process of recovering from traumatic events. I’m also on my own spiritual journey, where I’ve been learning more about Rastafari and health through a holistic perspective, speaking to elders and reading a lot. Many people don’t understand what Rastafari stands for especially as it’s never represented positively or at all on our screens. I hope this film will open minds. I want people to be taken on a journey with the main characters, of consciousness and self-reflection, which is so rooted in the Rastafari culture. People from all backgrounds deal with grief, loss, and illnesses and I wanted these life issues to be told from a Rastafari perspective. 7# Nathan, was this a world you understood or did you learn about traditions and culture you didn’t know? Nathan: My mum is Jamaican and we have a few Rasta grand-uncles in the family, but I think her generation, especially in Jamaica, have grown up with a stigma attached to the Rastafari culture, primarily driven by Western perception. So the only thing I ever really heard from her about them was that they live in the bush! But because of the ever-evolving, and hopefully more accepting generation I’ve grown up in, through my personal research I’ve always understood Rastas to be more than the weed smoking, dancing, jovial stereotype. However, Alpha & Omega was a chance for me to gain a deeper understanding of their history, religion, culture and the nuances between the different sects. I became a filmmaker because more than any other art form, it has the power to give people insight into perspectives and experiences they may not have been exposed to. I don’t remember the last time I saw a film which featured a British Rastafari couple or showed aspects of their spiritual and holistic lifestyle. However, Alpha & Omega is not about the Rastafari faith, it’s just the context within which we’re telling the story. It’s really about a woman’s journey and growth to understanding herself, her faith and her relationship. To explore a relationship through a female lens has been just as refreshing as focusing on a culture rarely explored on film. Maia: I got into this industry from doing performing arts and sports at my local youth club as a teenager. It was fun and kept me out of trouble. I also preferred creative and practical lessons at school such as art, sports, and drama. I took acting seriously when I did the MA Acting course at Drama Centre London. Training there forced me to be disciplined, hone my craft, and take risks. My inspirations for getting into the business were also from seeing my favourite actors – Cillian Murphy, Sophie Okonedo and more on stage, TV or film. Noticing the love they had for the craft and the way they took on roles was like fire to me. The journey is and has been difficult as there are so many actors in this industry but not enough roles, especially for ethnic minorities and women, hence why I’ve begun to create my own work. However, the buzz I get from it keeps me alive and forever curious. Nathan: I’m a former actor and growing up, performed with a local Youth Theatre, the National Youth Theatre and at the Edinburgh Fringe. Up until a few years ago, I still dabbled in acting but encouraged by my parents went to uni to get that “back up plan” rather than applying to drama school. 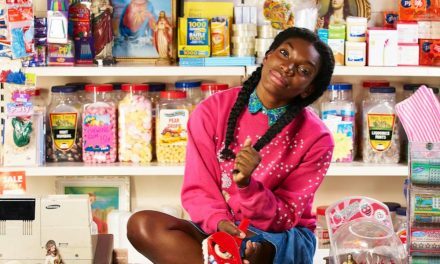 Post-uni I worked given the limited opportunities I saw in the UK for black actors. I’d always had ideas for things that I wanted to make and decided to create interesting roles and opportunities for others that I didn’t see out there for myself; which is why I launched Smashed Screen Films on the side whilst working full time. I’m currently working in an International Film Sales Company to understand the business of feature films whilst making films in my spare time. 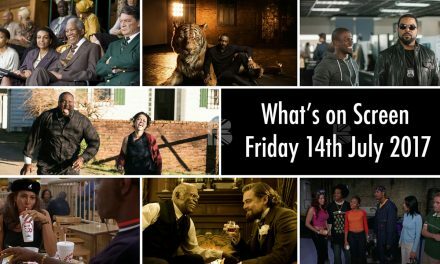 In the 3 years since we established the company, we’ve directed & produced 3 short films, two of which have been screened at Kush’s film boutique, S.O.U.L Film UK’s screening event at the BFI and the British Urban Film Festival. Alpha & Omega is the biggest project we’ve worked on to date, it’s the first that’s been externally financed and let’s just say we have high hopes for this one! 9# How successful was the crowdfunding campaign for Alpha & Omega, and what happens now? Maia: We beat our target for the campaign which was fantastic. It was lovely to know so many people support and love the film idea. We hope to take the film around the festival circuit and have a private screening in 2018. I’m also hoping it will open more doors and further opportunities for all of us as creative’s in the industry. Nathan: Our IndieGogo campaign was one of the most challenging but fulfilling experiences I’ve faced to date. Through a mixture of friends, family, our film network and complete strangers we were able to raise £3.1K. The Alpha & Omega team are so thankful to the 105 backers who helped us reach our target! 10# Do you have anything else lined up? How can people keep up to date with Alpha & Omega’s progress and your future projects? Nathan: We have another short called Prison Boy in post-production, which we developed with actor Ben Woodhall after watching him perform the monologue that became the film at Stratford East’s Triforce MonologueSlam. Let’s just say there’s a lot more to come! I’m always happy to have a chat with potential collaborators hit me up on nathan.adabadze@gmail.com. Maia: At the moment I’m just focused on doing my best for the film and auditioning alongside it, so hopefully a nice gig is coming. I’m also writing something new about climate change and geoengineering, which is something that I have become obsessed with this year. You can keep up to date with Alpha & Omega via its Twitter page @AlphaandOmegaSF and @maiajw.